With over three decades in the restaurant business, both local and international, the renowned owners of longtime Chicagoland favorites, Baisi Thai and Oysy Sushi, bring Red Chopsticks to Aurora. Their newest endeavor focuses on bringing a unique, upscale approach with down to earth appeal to Northern Chinese (Mandarin) cuisine, with a Pan-Asian flair.By utilizing their years of acquired knowledge, the owners know exactly what a customer wants when it comes to a dining experience: a comfortable dining area, fresh ingredients, delicious food, and a friendly staff. 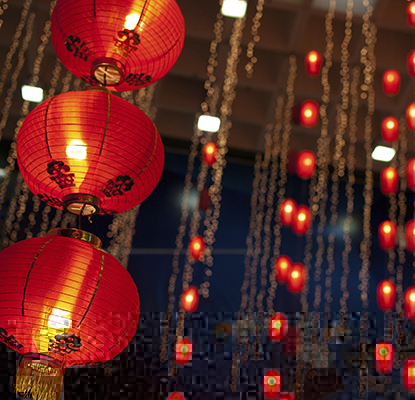 At Red Chopsticks diners will savor the flavors of Chinese favorites like homemade pot stickers, coconut shrimp rings, and Sweet and Sour Chicken to go alongside such Asian favorites as Pad Thai, Singapore Rice Noodles, and a variety of seafood and vegetarian dishes. 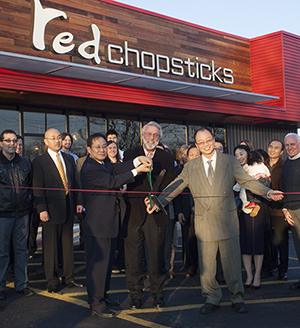 Red Chopsticks aims to be the next standard in Chicagoland eateries. Red Chopsticks aspires to crafting the finest Northern Chinese (Mandarin) Cuisine and Pan-Asian dishes in the western suburbs. With a comfortable setting, outstanding service, and memorably delicious food, Red Chopsticks wishes to turn lunch and dinner into a culinary experience to remember. We want to make dinner a destination. Our award-winning Chef Li hails from Zhengzhou City in Henan Province, China. He came to America in 1996 after studying at a prestigious culinary institute in China, honing his skills in the kitchen at the Zhengzhou International Hotel. After arriving in the U.S., Chef Li worked at Koi and Wen Hua in St. Louis. He then moved to Chicago and managed the kitchen at Ming Zhen in Chinatown before eventually running the kitchen at the renowned Grand Mandarin in Lisle. He is now the executive chef for Red Chopsticks. Because Chef Li relishes the range of flavors found in far-eastern cuisine, his approach to Chinese cuisine is very inclusive of other Asian cultures. Chef Li has created a menu at Red Chopsticks that appeals to those who appreciate a variety of Asian flavors such as Indian, Thai, and Korean, plus Mandarin and Szechuan varieties of Chinese cuisine. He loves to add a creative flair to dishes for special occasions and is exceptionally talented at sculpting garnishes from radishes and other vegetables with a knife, as you’ll see in our gallery. 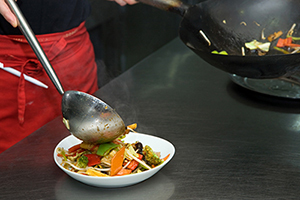 Freshness is Chef Li’s mantra, and thus everything on our menu is created from scratch. You will find no canned sauces, pastries or vegetables in any of our dishes.